"Foods You Want to Include for Improved Gum Health"
If you want to improve your overall gum health, then you want to make sure that you choose the right foods for your diet. Not only can your teeth benefit from a better diet and food choices, but so can your gums and the rest of your body. 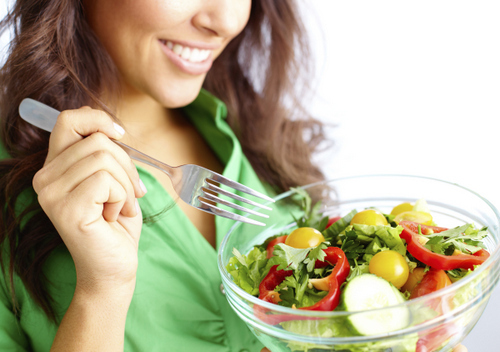 By introducing these foods into your diet, you'll help your teeth and gums overall. Remember, it is always best to choose healthy options over sugary, carbonated ones. Water over soda, vegetables over candy and so on. Staying away from sugary and acidic foods is the best thing that you can do for your mouth overall. Chewing gum, soy-based items, green tea, probiotics, cranberries and anything that has a high antioxidant and vitamin level are great to add into your diet. When you are nourishing your health, you want items that are going to provide benefits to more than just one area of your body. Items such as candy bars, soda and other sugar sweets will do absolutely nothing to benefit your overall, or oral health. In addition to the previously mentioned foods, you can also expect to get a lot of benefits from foods such as; leafy greens like spinach, onions, celery, carrots, apples and milk or yogurt. All of these not only work to clean and improve your teeth and gum health, but they provide the right amount of vitamins that your body needs to stay healthy. The more food choices you give yourself, the better. After all, variety is the spice of life, isn't it? If you want to learn more about which types of food you can add into your diet, and which ones you need to remove, contact our office today. We will be more than happy to sit down with you and figure out the best choices for your oral health.